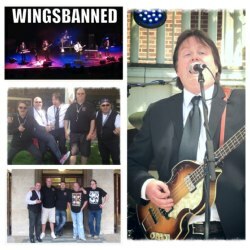 We are a Paul McCartney tribute band (6 piece) we recreate the hits of macca exactly as they were performed in all the original keys. We have played all over the UK and Europe and appear every year in the largest Beatles festival in the world in Kentucky USA Abbey road on the river. We have also appeared at the famous Cavern club, Matthew st festival, Adhelfi hotel and the honour of playing for Maccas birthday celebration at the Liverpool philharmonic. We play his hits from his Beatles days to Wings to his solo years. We are all pro musicians with many years experience with numerous bands.